Building a inground swimming pool on your property is a great way to jazz up your backyard, but it is common for homeowners to feel unsure of how to properly keep their pool clean. The imagined, effortful upkeep of a luxury pool is one factor that actually tends to discourage homeowners, and this is an unnecessary worry. 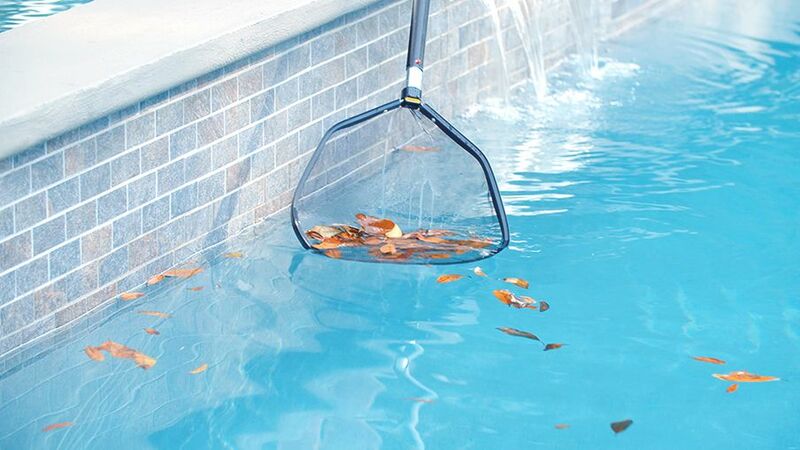 No one wants to have to spend hours or budget-breaking bucks maintaining a pool themselves, no matter how beautiful. Luckily, there are a few tips pool builders and pool owners can pass along to others in order to properly maintain your dream pool with little effort on your part. Read on to learn essential tips on how to keep inground swimming pools clean. Treating your pool with proper chemicals is the #1 essential tip you need to know for keeping your pool well-maintained. The most familiar of these, of course, is chlorine. Chlorine works to kill harmful bacteria in the water and works to sanitizes your pool. The only case where you would not want to use chlorine in your pool is if your pool contains salt water. Another important, and hopefully relieving fact, regarding your pool’s upkeep is that it does not require you to sacrifice hours out of your day. In fact, as long as you keep up your chlorine routine, you may really only need to dedicate a few minutes each day to ensuring the maintenance of your pool. Chlorine for cleaning is available in a few different forms, such as liquid gel and tablets. Depending on what kind of filtration system or pool basket you may in your pool, you can ask your pool builder what the best method of chlorine treatment would be. You can also look into specialized pool cleaners, such as robotic devices, but for a budget-friendly alternative, sticking to a regular chlorine cleaning regime should be enough to keep your pool water clear and safe for swimming. Treating your pool with the right chemicals is most important in keeping up your inground swimming pool with little effort, but there are also some additional tips you can follow for an easy way to keep your pool looking well-kempt. Using a skimmer net – commonly attached to a pole for convenient reach – is a casual way to scoop up any unwanted debris floating around on the surface or underwater. This may include but not be limited to leaves, branches, and small bugs. 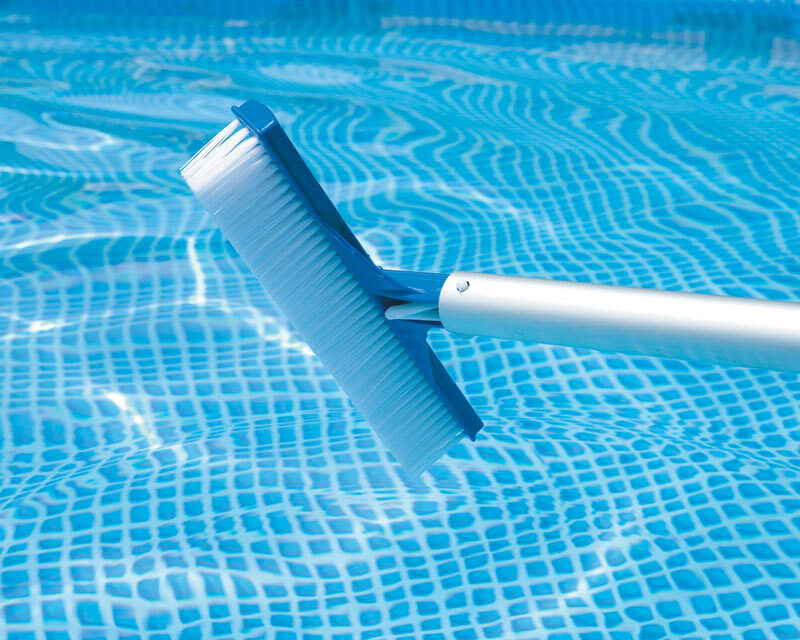 With a sturdy pool brush, you can scrub any surfaces of your pool that are looking less than stellar. Chlorine can rejoin you with this practical tool – though be forewarned that a cheap brush may not last long with extended exposure to the cleaning chemicals you will likely be using. For concrete, fiberglass, or vinyl surfaces, you will want a brush with nylon bristles. For gunite surfaces you will want to stick to one with stainless steel bristles. Feeling ready to take a leap with your own inground swimming pool? Call Open Water Pools today at 512-801-9712 to get in touch with your local Austin pool building specialists.